The starting of the financial year is the best time to review your financial planning. 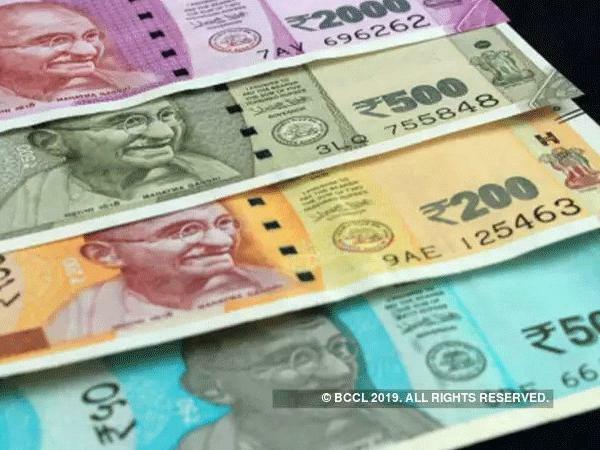 If you want to make more money in this financial year 2020 then you must follow these five easy ways. New Delhi: The starting of the financial year is the best time to review your financial planning. Apart from the saving, planning, investing and reshuffling the portfolio, there are some tips which can help you grow your wealth. Earning a high salary is not enough to make money. It is essential to make a proper plan and track your income and expenditure. Financial planning should involve taxes, deductions, loans, EMI, budget, earnings, income, etc. To lead a financially fit life one must plan accordingly. You should be careful enough before investing your hard earned money. In the first month of the new financial year, people should start planning for the taxes. Most of people complete this task at the end of the financial year. Planning in advance lets you know about tax saving instruments. Insurance plans should not be bought blindly. Look for an insurance cover which is capable to cater your future needs and lifestyle. Seeing your financial commitments and dependents from your family determine the right amount of insurance amount. You can even take the financial advisor’s help to choose the right plan and cover. It is advisable to review your investments from time to time. If you find out that some specific investment plan is not performing well, then do not shy away from switching it to another plan. Always look at the five to six years of return history before making investments. Try to make a plan and explore new funds after reviewing their returns in the past. Always keep a check on your cash flow. Track your income and expenditure and ensure that your expense should not be more than your income. Cut down on your extra and unnecessary expenses and invest that amount in your emergency fund. A contingency fund comes in handy during the financial crisis. It ensures cash in hand at the time of urgent need. Do not get lured by the idea of making more money. Before you invest your hard earned money make sure that the option is not risky. If you do not understand any particular scheme then sought the financial advisor’s help. Try to avoid putting your money into those funds or options which you do not understand. 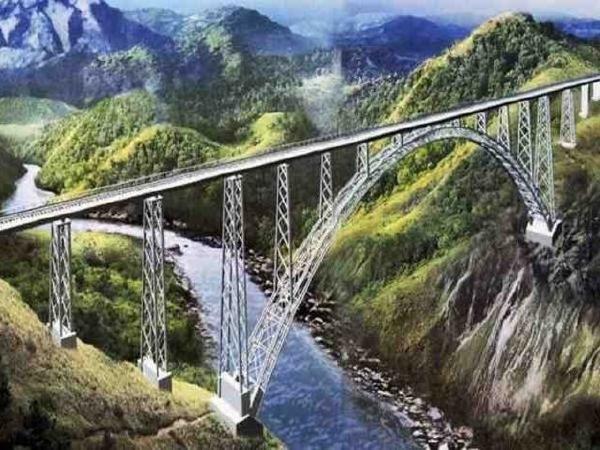 5 fascinating facts about world’s highest Chenab rail bridge! 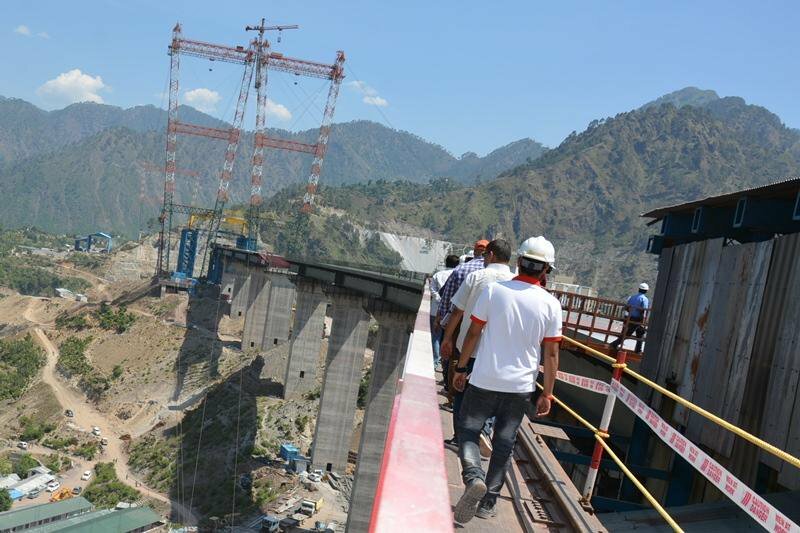 World’s highest Chenab rail bridge is expected to be complete by December this year. The construction of the 359 m high bridge began in 2004. 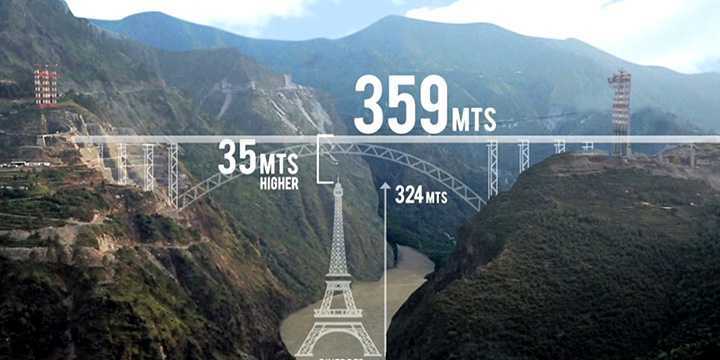 This bridge will be 35 m higher than the Eiffel Tower. 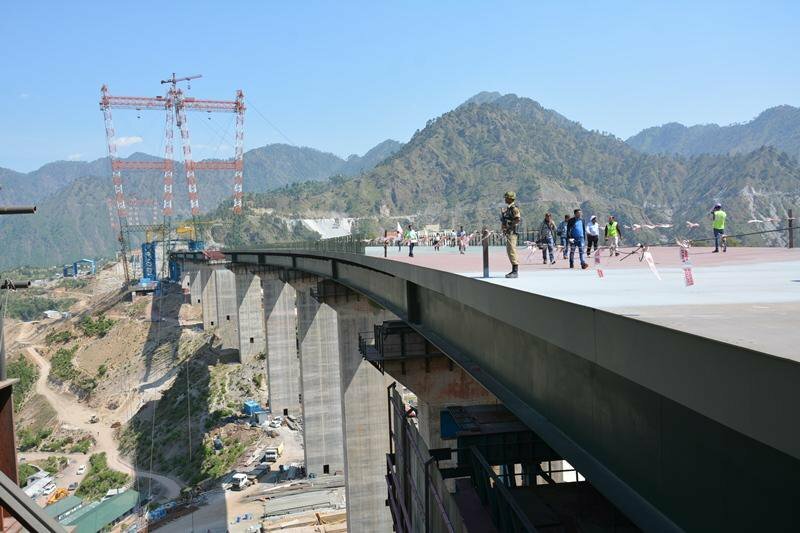 New Delhi: Indian Railways is constructing the world’s tallest railway bridge over Chenab river in Jammu and Kashmir. This bridge which will be Railways’ finest engineering marvel and is being built at a height of 359 metres above the river. It may be noted that this bridge will be 30-35 m higher than the Eiffel Tower. 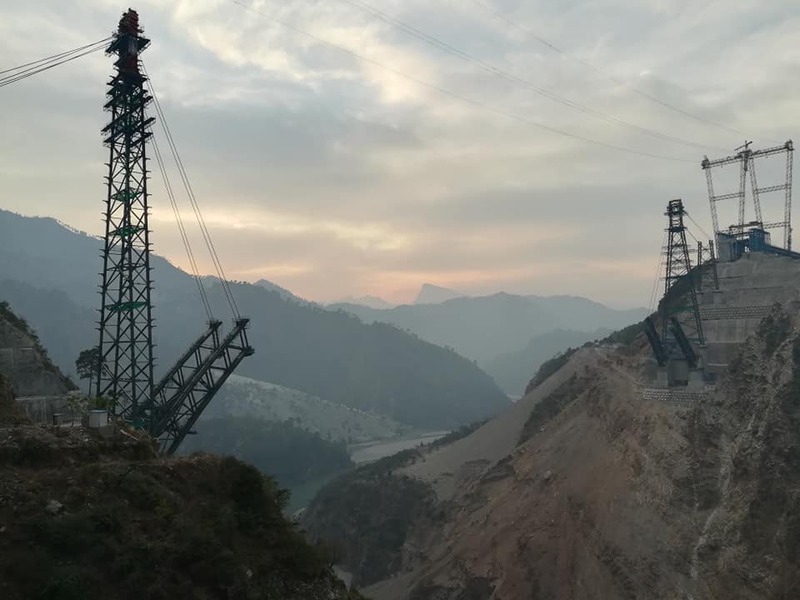 This bridge will form the crucial link between Katra and Banihal which is a key part of the Udhampur-Srinagar-Baramulla section of the Kashmir Railway project. 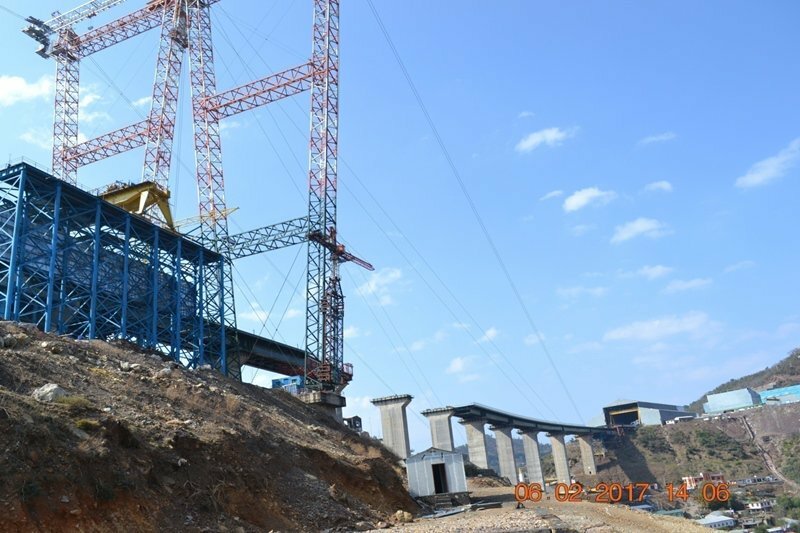 The work on the installation of the main arch between two sides of the bridge has already begun, said an engineering member of the Railway Board recently. The construction of the bridge began in 2004. However, the work was stopped in 2008-09 on the account of rail passengers’ safety due to frequent high-velocity winds in the area. Here are 5 fascinating facts about the bridge that you should know. 1. 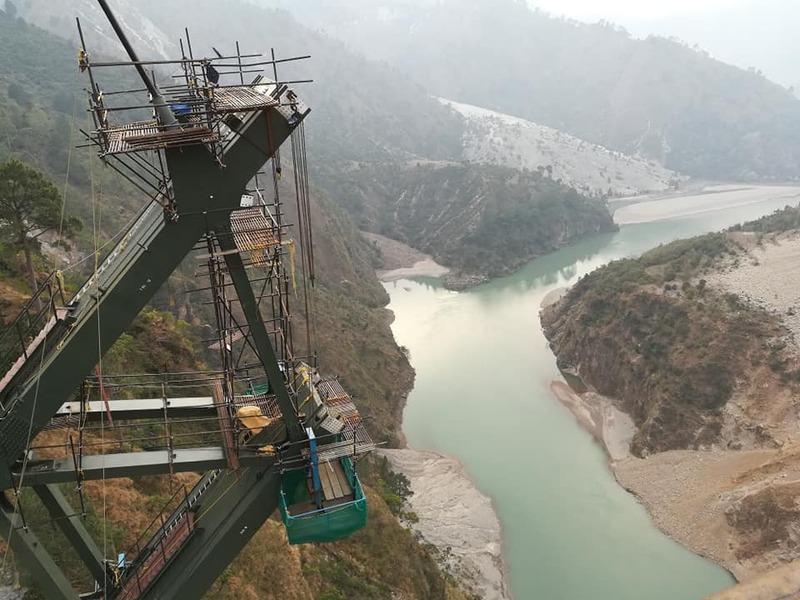 This arch bridge will be 1.315-km-long and is being constructed at a height of 359 metres above Chenab river waters. The bridge will have railway stations at both its terminal ends. 2. Railways is planning to install sensors on the bridge to check the wind velocity. In case, the wind speed exceeds 90 Kmph, the signal on the railway track will turn red and any train movement will be stopped. As per officials, the bridge can withstand winds up to 260 Kmph and its lifespan will be 120 years. 3. Since the bridge is being built in a terrorism-prone region, the Defence Research and Development Organisation (DRDO) is working the Railways to ensure that this Rs 12,000-crore bridge is able to withstand any major blast. Special 63 mm-thick blast proof steel is being used in the construction of this bridge. 4. The concrete pillars of this bridge are also designed in a way that it can withstand blasts/explosions. The bridge is designed by consultants from Finland and Germany. 5. Aside from blasts, the arch bridge is also being designed in a way that it can withstand an earthquake of magnitude 8 on the Richter Scale. It may be noted that even though the bridge falls under zone 4, it is being built to handle earthquake with an intensity of zone 5 which is the highest intensity zone in the country. Worth mentioning here is that Railways is also constructing three big tunnels- T2 (5.9 KM), T3 (9.369 km) and T14 (13 km), on the other side of the river. According to officials, over 1,300 workers and 300 engineers have been working round-the-clock to complete the bridge by May this year. 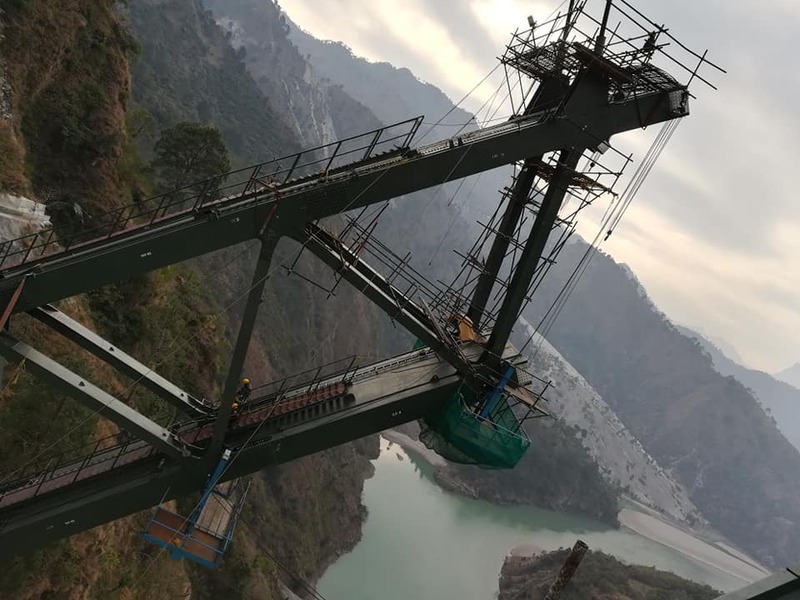 A ropeway is being installed as well on the bridge as well for inspection and maintenance purpose. The Railway had to construct 22 km of roads in order to reach the bridge site. According to reports, footpaths and cycle trails will also be constructed adjacent to the railway bridge. After making the Motorola P30 official, Lenovo-owned Motorola has now announced the Motorola P30 Note in China, adding to its ‘P’ series portfolio. The smartphone looks similar to the Motorola P30 in design, but has a few specification differences, making it a tad more premium than the base variant. Key differences include a huge 5,000mAh battery, and a triple SIM tray with a dedicated microSD card slot. The Motorola P30 Note features a Snapdragon 636 processor, sports a rear fingerprint sensor, and weighs at a hefty 198 grams thanks to the large battery size. The Motorola P30 Note is priced in China at CNY 1,999 (roughly Rs. 20,700) for the 4GB RAM variant, and CNY 2,299 (roughly Rs. 23,800) for the 6GB RAM variant. It is made available in Mercury Black colour option, and is already on sale in China. The company is bundling JBL headphones with the phone as part of the introductory offer. The P30 Note sports a vertical dual camera setup, a rear fingerprint sensor, and a 3.5mm audio jack at the top edge of the device. 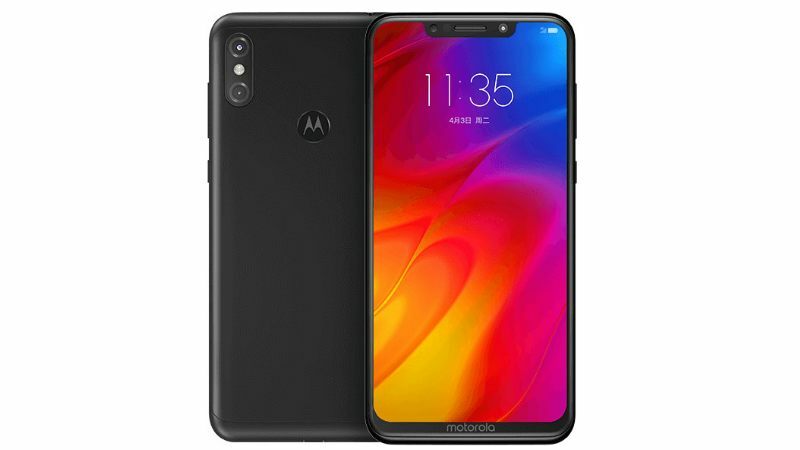 The smartphone sports a display notch in the front and a Motorola logo is embossed in the bottom chin. As for specifications, the dual-SIM (Nano+Nano+ microSD) Motorola P30 Note runs on Android 8.1 Oreo based on ZUI 4.0, and sports a 6.2-inch (2246×1080 pixels) full-HD+ 2.5 curved glass display with 19:9 aspect ratio and Corning Gorilla Glass protection. It is powered by the 1.8GHz Snapdragon 636 octa-core processor paired with Adreno 509 GPU, and 4GB and 6GB RAM options. Inbuilt storage is at 64GB with expandable memory via the dedicated microSD card slot (up to 256GB). The Motorola P30 Note sports a 16-megapixel primary camera (f/1.8 aperture, 1.25um pixel size, OmniVision OV16B sensor), and a 5-megapixel secondary sensor (f/2.2 aperture, OmniVision OV5675 sensor) with dual-tone LED flash support. At the front, there is a 12-megapixel selfie sensor with f/2.0 aperture and 1.25um pixel size. The Motorola P30 Note packs a 5,000mAh battery with fast charging support, and connectivity options include 4G VoLTE, Wi-Fi 802.11 ac (2.4GHz + 5GHz), Bluetooth 5, GPS + GLONASS, and 3.5mm audio jack. The smartphone’s dimensions measure at 156x76x8.39mm, and it weighs 198 grams. Xiaomi’s new sub-brand Poco has released the kernel source code for the Poco F1 handset via GitHub. The release of the source code will come as good news for developers and enthusiasts who want to flash custom ROMs on their Poco F1 handsets. Xiaomi’s latest affordable smartphone in India was launched earlier this month and went on sale for the first time on Wednesday. 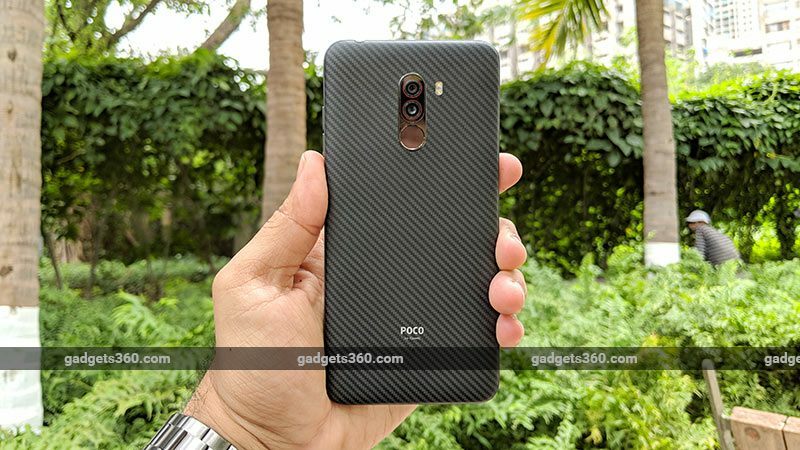 Thanks to its price in India and premium specifications, the Poco F1 is taking on the likes of OnePlus 6 in the country. Meanwhile, Poco has announced that the smartphone ran out of stock within a few minutes, selling over 1 lakh units in less than five minutes. Also, the Poco F1 will now be available on sale on Flipkart on September 5. Jai Mani, Xiaomi’s Lead Product Manager who is leading the Poco brand, during the launch of Poco F1 announced that the company will release the kernel source code for the smartphone, to encourage custom ROM development. Upholding that promise, Mani on Wednesday tweeted that Xiaomi has released the kernel source code for the Poco F1. Now, it is available on GitHub and developers can build custom ROMs for the smartphone. Those who like to tinker with their handsets can also unlock the Poco F1 bootloader without losing support from the company. Mani, in his tweet, also noted that the kernel source code branch is the same for three of Xiaomi’s smartphones – Xiaomi Mi 8, Xiaomi Mi 8 Explorer Edition, and the Poco F1. It is worth noting that Poco F1 ships with MIUI 9.6 out-of-the-box based on Android 8.1 Oreo, and an MIUI 10 update is said to be coming soon. The phone is using a customised version of MIUI for the Poco F1, called MIUI for Poco. Poco had already outlined a series of changes that it has made to Xiaomi’s MIUI. Coming to the first sale, Xiaomi has informed that it sold over 1 lakh Poco F1 units within five minutes of the sale going live. It said that more than 300 Poco F1 units were bought every second during the sale before it went out of stock. Poco India, in a tweet, claimed that the brand generated Rs. 200 crores in less than five minutes, making it the “biggest and fastest” flagship sale ever on Flipkart. As mentioned, the smartphone will go on sale in India next Wednesday. Xiaomi Poco F1 looks great value for the price, but is there a catch? We discussed this on Orbital, our weekly technology podcast, which you can subscribe to via Apple Podcasts or RSS, download the episode, or just hit the play button below.